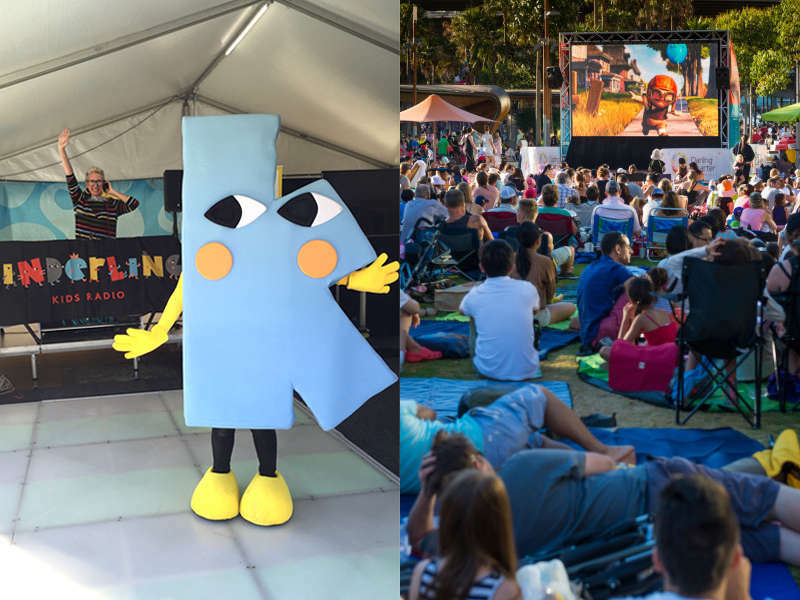 Hey Sydney kids, come play with Kinderling at the Night Owls Kids' Film Festival at Sydney’s Darling Quarter this month. Kicking off this Friday evening, DJ Lorna (our ever-awesome Music Director) will be playing party tunes for the whole fam in our Danceteria - think Sia to Sesame Street, ABBA to Yo Gabba Gabba and more. Then afterwards, catch some fantastic family-friendly films for FREE - see the full program at the Night Owls website. See you there - BYO dancing shoes!